As I type down this post, I feel the need to tell/ask us to be very careful and prayerful. God is the only one that can protect us so as we go out, we should always commit our day to God so as not to be victims of road traffic accidents or even domestic accidents at home. My orthopedics posting was really amazing although I was really stressed at some point, almost gave up and those who saw me that period felt so sorry for me because I always looked tired and was always working. I worked with amazing people and i'll say I enjoyed my ortho posting much more than my medicine posting. My ortho posting really showed how strong I am. It really pushed me beyond my comfort zone. So, after my MEDICINE posting, I moved to surgery and did Orthopedics for 3 weeks. Orthopedics Surgery is the branch of surgery that deals with the musculoskeletal system and common cases involved are trauma, fractures, degenerative diseases, infections, tumors, congenital disorders, etc.. I just want to share with y'all my daily activities in the unit. To start off with, I worked with 3 Orthopedics Surgeons also known as Consultants and their names are Dr Salami, Dr Olorunnishola and Dr Saheed. I worked with two Medical Officers Dr Ayegbo being a Senior Medical officer and Dr Erinle a Medical officer. Of all the departments in General hospital, orthopedics is the only unit that starts work 8am which means as house officers, you must be at work before 8 and thats because ward rounds start 8am and our consultants keep to time Dr Olorunnishola especially. Everyday, the orthopedics unit is on call which makes it more calls per house officer compared to the once every week style in the department of Medicine. The pattern of the call depends on the number of house officers in the unit. If there are two house officers, it means one person per day. Before any activity for the day, a quick review of just the patients that were seen over night during the call is done by our consultants. During our calls, we see patients that had fractures due to road traffic accidents or trauma, patients with crush injury, lacerations, abrasions, patients with cellulitis, Diabetic mellitus foot syndrome which is a complication of Diabetes and some other orthopedic related conditions. When they come, the first aid treatment is given, followed by detailed history and ask them to do an X-ray of the affected area or a Doppler ultrasound scan in the case of those wit Diabetes Mellitus Foot Syndrome. The approach of treatment also depends on the severity of the problem. Mondays: We do surgeries on Mondays and after that, we do pre consultant ward rounds which is in preparation for Tuesday. A total of about 45 patients are seen but the good thing is that we divide it amongst ourselves as house officers. In my opinion, Orthopedics has the highest number of patients in the wards because we get consult even from the medical team, the children hospital, etc. Before deciding on which patient to do surgery for, our consultants must have discussed and then we start to work patients up for surgery by doing all the necessary investigatons, grouping and cross matching blood for surgery and lots more. A quick selfie with Dr Faith. Tuesdays: I call this really special day because we move from one ward to the other to review all the patients we have as a unit. During this consultant ward round, so many decisions are made like patients for surgery, the progress of surgeries done, complaints of the patients, and to check the general well being of the patients under our care. We start around 9am and finish like 2 or 3pm. As house officers, we also do our mop ups which involves carrying out instructions given by our consultants during the ward round. Wednesdays: We run a Club foot clinic. Club foot is a congenital deformity which means it occurs at birth or before birth and in this case, the foot/feet appears to have been internally rotated at the ankle which makes the children affected walk on their ankle without treatment. The treatment could be surgery, wearing a foot abduction brace, physiotherapy, etc. Also on wednesdays, the Medical officers do their mop ups as instructed by the consultants by attending to patients who need to get some procedures done. So, we usually divide ourselves. Some house officers or one of us stays with the consultants at the club foot clinic while the others further divide ourselves into two sets some follow the SMO and some the Medical officer. 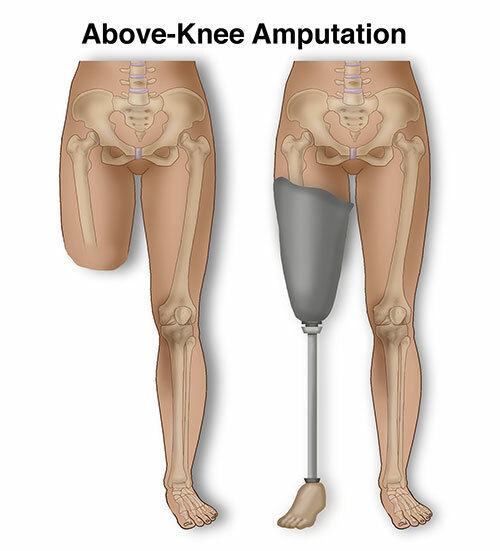 Most of the procedures done on wednesdays are: back slab, volar splint, skin traction, collar and cuff splint, incision and drainage of an abscess, application of a figure of 8 brace in case of clavicular fracture, debridement etc..
Amputation: This is the removal of a limb as a result of trauma, medical illness or surgery and most of the cases that I have seen are of diabetic patients with DMFS and the level of amputation depends on the result of the doppler ultrasound scan. 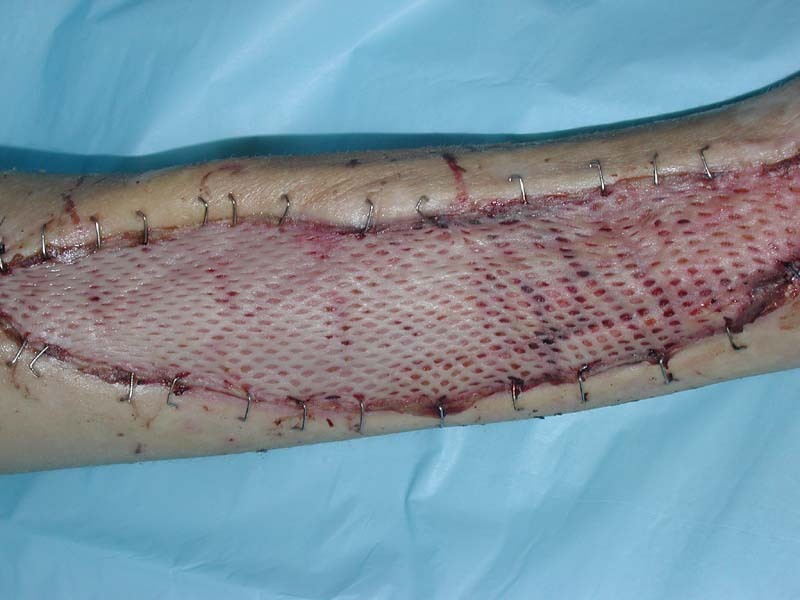 Skin graft which can be done after serious injuries when some of the body's skin is damaged and it involves removing a thin layer from the healthy part of the body to the damaged part. 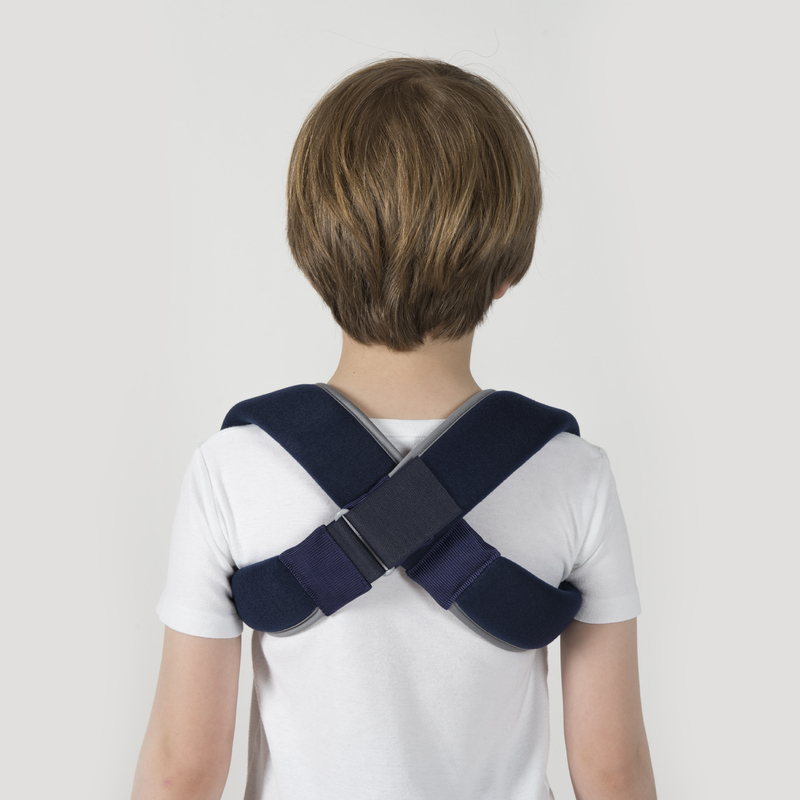 External Fixation: Used to stabilize bones and soft tissue at a distance from the operative or injury focus. I scrubbed in and assisted Dr Olorunnishola my best Doctor so far in a skin graft surgery. It was an awesome experience but I wasn't able to take pictures of the procedure. Trust me guys sometimes, we finish surgery 6pm depending on the number of patients and the type of surgery. Fridays: Clinic day, we see patients with new complaints and also attend to patients for followup. Most of these patients were either admitted because of fractures, other orthopedics cases and were discharged. 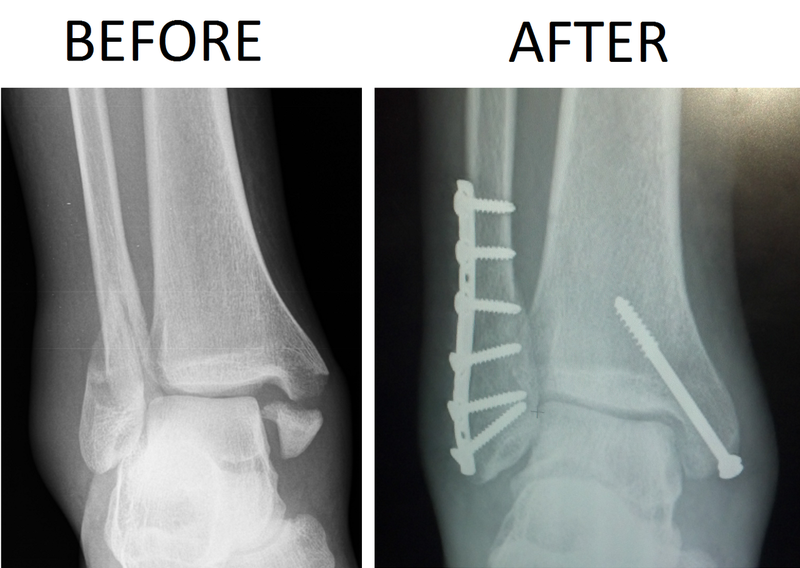 Some patients that had application of cast for a while also come with their X-ray just so the doctor can see how the affected bone/area is doing. Orthopedics clinic has lots of patients including kids. The good thing is there are 3 consultants and they all have their patients so as house officers, we divide ourselves and work with one consultant each. We keep a record of the number of patients, we refill drugs if need be and we fill out investigation forms for patients. The list for surgery on Monday is also prepared and submitted to the theatre. I really did not have the intention to bore y'all but trust me, I didn't even go into details. This is just a summary of what my orthopedics posting looked like and I hope you learnt one or two things. By the way, some pictures were shot with my Iphone camera with the permission of my SMO and my Consultant. some pictures were borrowed from google! Thank you for visiting I really appreciate it. If you are doing your house job in Nigeria, what posting are you currently doing?? and how are you finding it?? would love to hear from you. Cheers!! Thank you so much , as a nursing student in America I can relate to all the stuffs you posted . Thank you so much and continue the good work. Are welcome dear and thank you. Thank you so much dear. I'm really trying to stay strong even God knows.